Founding partner Troy P. Hendrick is a dedicated and award-winning trial lawyer whose overwhelming sense of justice guides the firm in all they do. Our attorneys handle civil injury/accident cases, ALL criminal defense cases (Federal and State) including DUI, and have the most widely respected and largest traffic defense practice in the State of Georgia. Mr. Hendrick recently sued the District Attorney's Office of DeKalb County, singlehandedly spearheading the dismantling of the now defunct (thanks to Troy's litigation) DeKalb Recorders Court, resulting in the end of a tyrannical and unfair court system designed to process tens of millions of traffic ticket fines while withholding justice in the process (see “In The News”). As we hear so often these days—No Justice, No Peace. This case, which ultimately toppled the largest traffic court in the State and one of the largest in the country, was over a speeding ticket. This is the type of passion that our sense of justice requires, and we bring that passion to every single case we take. Injuries occur every day in Georgia. Some are worse than others. Some are intentional. Some are truly accidents. Most happen on the crowded roadways of the greater Atlanta metro area, some happen in other parts of the State of Georgia, and some happen in other settings that don’t involve vehicles. If you are the unlucky one that is injured, it is now You vs. the Insurance Company. Money is often a poor substitute for health, but that is how our legal system compensates people who are injured because of others. More information . . .
Good people sometimes make bad choices. Trust the knowledge of a former DUI prosecuter to prepare your Georgia DUI defense. We understand the anguish and uncertainty a Georgia DUI charge can bring. Our legal team has helped hundreds of clients get their life back on track. We are ready to help you! Call 404-310-9795 or use our contact form here. More information . . .
All too often, Georgia or Federal officers of the law invade our constitutional rights against invasions of our privacy. Many of these invasions result in Federal or State of Georgia drug charges. Drug charges can carry severe sentences, and oftentimes, the guidelines controlling drug charge sentences are racially biased. More information . . . The traffic division of the Law Offices of Troy P. Hendrick is the largest and most widely respected traffic and speeding ticket law firm in Georgia. 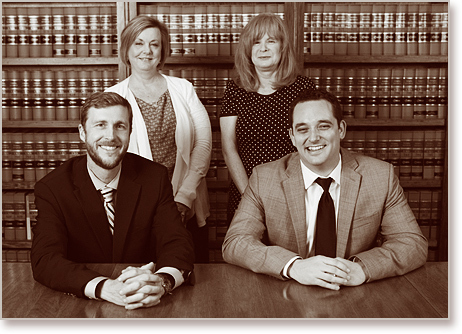 We have developed a highly specialized division of our firm that deals only with traffic and speeding issues. That means that our firms' attorneys are actually practicing in the courts where your ticket will be prosecuted — day to day, month to month, and year to year. More information . . . The attorneys at the Law Offices of Troy P. Hendrick help hundreds of Georgia CDL drivers each year. We understand the serious implications of a Georgia CDL traffic ticket because driving is how you make your living. Commercial drivers have a special interest in keeping their record clean. The Law Offices of Troy P. Hendrick, we understand these special cases. We give the care and attention to detail that is necessary to protect your living. Troy has been a guest on the Midnight Radio Trucking Network’s Freightliner Run Smart Hour, giving advice to professional drivers all over the nation. More information . . .